Yes the application form of Family visit visa is now online in Saudi Arabia and anyone can apply through the visa services provided by mofa. This is a first step in application of Family visit visa procedure that you could submit and print the visit visa application form and submit to chamber of commerce. 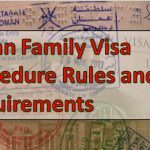 Family visit visa is totally same as tourist visa, if your profession didn’t eligible for permanent family visa than through visit visa you could bring your family in Saudi Arabia for 90 days after end of 90 days you could extent the visa up to 6 months but it is on authorities whether to approve your extension or not. Most of the time family visa is didn’t available at the time of Ramadan or Hajj and MOFA rejected your application during these times. This is a part of Procedure of complete visit visa application Read Now the detail procedure of Family visit visa Application. 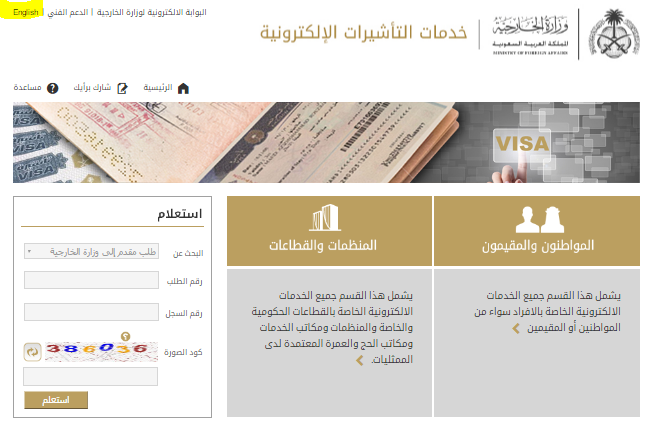 Ministry of foreign affairs provided this services to expats that they can easily fill application online and than after application print the visa application form. So let see how you can fill this online application form. Visit official website of MOFA Saudi Arabia, the website is in Arabic Language if you understand Arabic than its OK if not you could change the language from upper left corner of website. Also use chrome translation icon situated at right side of search box. Now you will see several electronic visa services provided by mofa. Click on Family Visit Visa Application under resident, this allow you to apply for visit visa for first degree relatives. The first stage is to agree of the terms and condition here English support is not available so try to use chrome Translator. 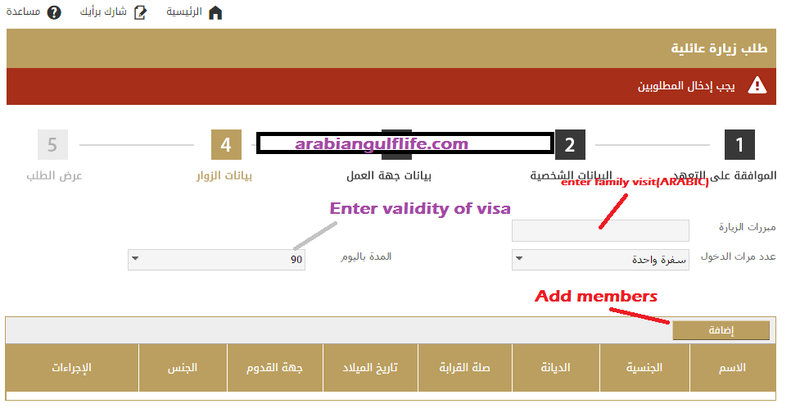 After with terms they redirected you to second stage in which you require to enter Current Iqama Number, Iqama Expiry Date, and visa number and than click on Next button. Here you see the screenshot in English but Original is in Arabic on first box you have to justify the trip just give the name in Arabic for example “Family Visit” زيارة عائلية. On second box select A single trip رحلة واحدة Enter duration in third Box. At the end click on Add button to add family members. 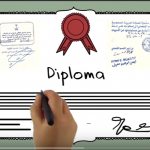 After that fill out the details about your family members and dependents name written in passport (english), Religion, Gender, Kinship (relation of you), Come to Hand means “city from where dependent traveling”, Nationality and Date of Birth. 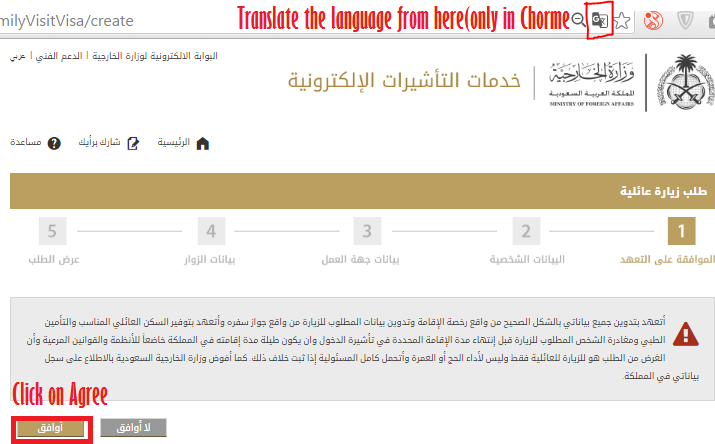 Now on last or 5 step they show complete information submitted by you to apply for family visa. Family visit visa how much they will charge? I need to bring my wife and two children. please let me know. the charge of SR 2000 is applicable for each passport of the family members or for the whole family? dude .. the page can be translated into English for better understanding .. haven’t you tried that …. How much they will charge for 2 1/2 years child? 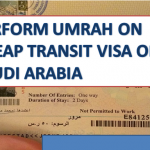 If we vist through family visa, c an we do a umrah? Is it allowed?